Colour of the strap: Standard blue, other colours possible. 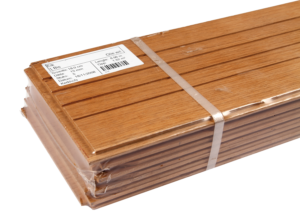 PAR-Strap® is an automatic strapping machine for wood flooring. 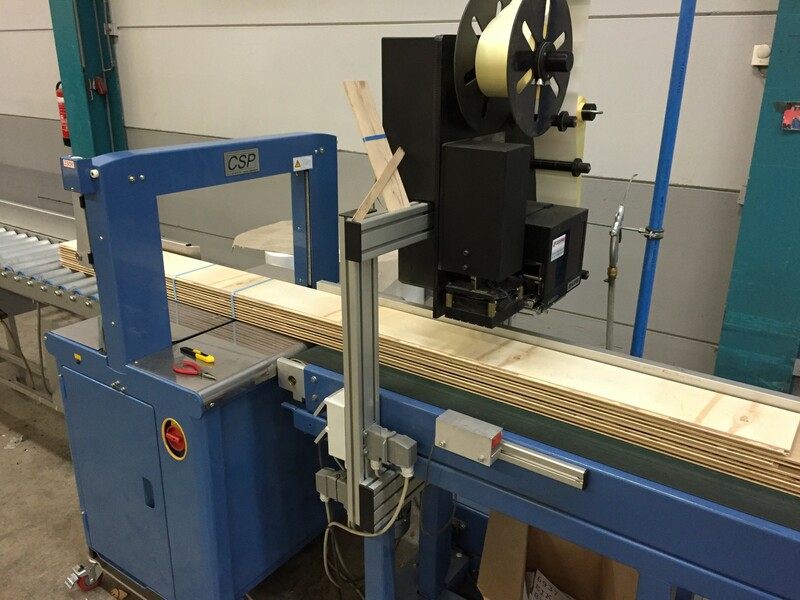 The strapping machine is easy to handle and realises a swift strapping of flooring boards in only 1.5 seconds. Thanks to its construction with 3 motors is PAR-Strap® a very solid and liable machine. PAR-Strap® is a modular machine which corresponds perfectly with PAR-Pack®, PAR-Scan® and PAR-Film®. The strapping head of PAR-Strap® is robust and compact. The strapping machine is built in this way that the strapping head is easy accessible through hinged top plates, no tools are required. It is a machine with very little movable parts, which makes it very liable and low on maintenance. PAR-Strap® is easy and quick to set-up, to maintain and to change of spool. Changing the spool happens through a quick-fastener. Furthermore PAR-Strap® is developed with an eye for ergonomics.